Construction added 16,000 jobs in March, which did not fully offset the 25,000 drop reported in February. However, a sharp jump of 56,000 reported in January means the three-month average is still 15,700. Manufacturing lost 6,000 jobs after adding just 1,000 in February. This is the first decline since July of 2017. 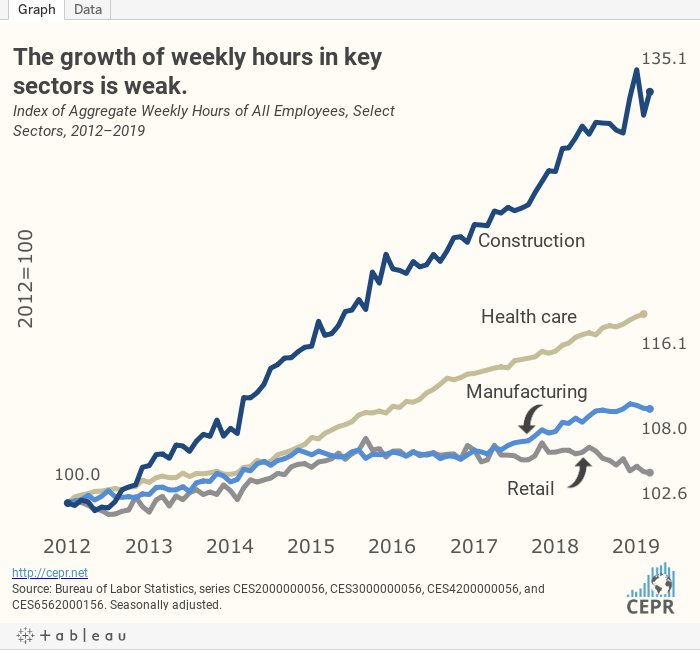 The index of aggregate hours in manufacturing is 0.3 percent below the December level, suggesting some real weakening in the sector. For more, check out the latest Jobs Byte.